The Tampa-Bay Rays are a professional baseball team. the rays are a member of the Eastern Division of Major League Baseball, Baseball's American League. The Ray's are based in St. Petersburg, Florida, and from their initial game in 1998 to date they have played in Tropicana Field. The Tampa-Bay Ray's were formerly known as the Devil Ray's, up to 2007.The Ray's is described by owner principal, Stuart Stemberg as, a beacon that shines throughout Tampa Bay and across Florida. The Tampa-Bay Rays are one of four active teams never to have played in a World Series, the other three teams being the Texas Rangers, the Washington Nationals, and the Seattle Mariners. The club is an expansion franchise and was founded in St. Petersberg in 1998. The Rays are the only team never to have made it to the playoffs. However, they did finish fourth in their division in 2004. In the 1980s and 1990s Local Leaders tried to establish a major league baseball team, but they were not successful in their efforts. Many of the teams were considering moving to Tampa or St. Petersberg but then decided against the move, choosing to stay in their current locations Topicana Field formerly The Florida Suncoast Dome, was built in St. Petersberg in 1990 with the intention of attracting a major league team. It was widely speculated, when MLB announced that it would add two expansion teams for the 1993 season that one of the teams would be posted in St. Petersberg, Instead the teams were granted to Denver (Colarado Rockies) and Miami (Florida Marlins). It was St. Petersberg Times publisher, Jack Lake who suggested St.Petersberg acquire a Major League baseball team. With his influence he managed to convince the concerned administration. This changed St/ Petersberg from spring location to a major league city. And in early 1995, new franchises were awarded to Naimoli's Tamps Bay group and a group from Phoenix (the Arizona Diamondbacks). Tampa Bay finally had a team, and they were scheduled to begin play in 1998. In 1993 the stadium in St. Petersberg needed upgrading, it was renamed the Thunderdome and became the home of the Tampa Bay lightning hockey team and the Tampa Bay Storm Arena Football League team. After the emergence of the Rays, the naming rights were sold to Tropicana Products and $70 million was spent on renovations. In 1995 former Atlanta Braves assistant general manager Chuck LaMar became the senior vice president of baseball operations and general manager. The Devil Rays began to build their organization, and the franchise's first minor league games took place in the 1996 season. In early November 1997 Larry Rothschild was named the Devil Rays first manager. The team acquired 35 players in the Expansion Draft on November 18, 1997. Tony Sanders from the Florida Marlins was the first player drafted by the Devil Rays. The team also drafted future star Bobby Abreu and promptly traded him for Kevin Stocker, who brought little success for the Rays.Star players Wade Boggs, Fred McGriff, and Wilson Alvarez were acquired before the 1998 season. In the 2007 series the Devil Rays played a series at The Ballpark (now called Champion Stadium) at Disney's Wide World of Sports Complex .the series chosen were the May 15-17 series versus the Texas Rangers. The Devil Ray's swept the Rangers in that series. The Devil Rays officially became the "Tampa Bay Rays" on November 8, 2007, along with their new uniform. The team colors are "navy, Columbia blue and a touch of gold, and the new team logo which is a bright yellow sunburst that represents the Sunshine State of Florida. And to quote the principal owner Stuart Stemberg: "We are now the Rays". The pitch for the 2008 season was announced February 22, 2008. During the 2007 off season the Rays stated that they were negotiating to build a new $450-million, 34,000 seat, open-air baseball stadium at the site of Progress Energy Park/Al Lang Field, their spring training facility on the St. Petersberg waterfront, to open by 2012. The deal would see owner Stu Stemberg providing $150 million to athe project, and the remaining money would be covered by the sale of redevelopment rights to Tropicana Field and the state of Florida's 30 year, $60-million sales tax rebate for new venues.The city of St.Petersberg would also pay about $75 million that the city has already committed to the franchise. Primary rivals of the Tampa Bay's are the Boston Red Sox and the New York Yankees, the rivalries from these teams started from the number of fans relocated from these two locations, and continue to root for these teams. Before the 2008 season, Red Sox and Yankee games frequently drew considerably larger attendance to games at Tropicana Field versus the average for other games, the result being a fan bias for these teams on the road. Another rival is the Florida Marlins due to their in-state proximity. This rivalry is only created during the Interleague period each season. Situated in St.Petersburgh, Florida the Tampa Bay Rays is a Major League Baseball Franchise which plays for the Eastern Division of the American League. The franchise came into existence in 1998 and since then on its home ground has been the Tropicana Field. They won their first division title in 2008 and after that they also became the proud winners of AL Pennant. Wearin g team colors navy blue, white, gold and colombia blue this base ball team really knows how to make it to the top. To enjjoy your day in a perfect American way just grab your pair of the tampa bay rays tickets right away! The average Tampa Bay Rays tickets price will cost you between $37 and $142, if you are looking for the cheapest seats then catch the event being held at the Globe Life Park, Arlington on 10/09/2019. The average ticket will cost you the highest on 20/06/2019 at the Oakland Coliseum, Oakland. Minimum get in price is for Tampa Bay Rays tickets is $5 for the event being held at the Oriole Park At Camden Yards, Baltimore on 03/05/2019 , there are some venues that have a much higher get in price, for instance the cheapest seats at the Angel Stadium, Anaheim on 13/09/2019 will set you back $25. Can i, by any chance, get my hands on free tampa bay rays tickets? Sorry you cant as TicketLuck doesnt feature free Tampa Bay Rays Tickets. However, view our Distressed Inventory section which contains tickets listed at below face value. Check it out, you might get your hands on some REALLY cheap tickets. Can you pls deliver arizona diamondbacks oakland tickets to my office address for it is a birthday surprise for my colleague? Well, all purchases are shipped to the billing address. Incase you want to have your tickets delivered to a different place, please refer to our Livehelp Operator. He/she should be able to assist you on this. I see discounted tampa bay rays tickets available oon the site. Why should I buy these tickets through TicketLuck? You should buy your tickets because TicketLuck has got great seats to Tampa Bay Rays for cheap, and you can be assured of having your tickets before the public gets the chance to buy their tickets. Any discounts on the cheap tickets for tampa bay rays baseball on your site? Yes, there is a nice discount on all purchases including Tampa Bay Rays tickets. Please speak to our Livehelp Representative who should be able to supply your our exclusive discount code. What is the price range for discount ray tickets? For complete information about Tampa Bay Rays Tickets and their discounted prices, please log on to our website or call us on our toll free number in case you need any further assistance. How will you ensure my cheap tampa ray tickets are delivered to me safely? We use the best courier companies in the world to deliver tickets to our valued customers so rest assured your Tampa Bay Rays Tickets will be delivered to you as securely as possible. What is the deal with tampa bay rays ticketing? I am not sure what you mean by that. If you are concerned about ticket prices then you can check out Tampa Bay Rays inventory and pick a ticket which suits your pocket best. Where can I book the best tampa bay rays tickets for their home and away games? You can book best deals on Tampa Bay Rays tickets only from Ticket Luck, the most trusted online marketplace for booking hard-to-find tickets for their home and away games. At what price range are you offering tampa rays tickets cheap? We are offering tampa rays Tickets on comparatively cheap rates. The detailed price list is available on our page. Check it out and place the order as early as you can. What is the nicest tampa bay rays ticket deal can you offer me? We offer best deals on all the sports tickets and our prices for Tampa Bay Rays are just what you are looking for. Book these tickets ASAP and enjoy special discount! What is the rays discount tickets price range? For complete details about Tampa Bay Rays Tickets and the discounted prices, please log on to our website or call us on our toll free number for further assistance. While searching for promo code tampa bay rays, i was taken to your site but cant seem to find it anywhere. where do i look for it? Just get in touch with our Livehelp Reps who should be able to provide you with our discount code for Tampa Bay Rays Tickets. Use the code and enjoy nice savings! Hey, I was unsure about this and want to know before I buy my tickets, where can I find the charlotte county tampa bay rays staduim schedule? Please refer to the Tampa Bay Rays stadium in Charlotte County venue page for details about the venue and cheap prices on tickets to events held there. 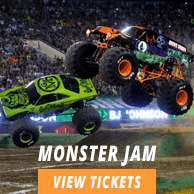 I am hoping to find arizona diamondback ticket promotions codes and tickets. Please visit our webpage for Arizona Diamondblack to find your desired tickets and contact our Luivehelp Operator for our exclusive promo codes. Can I buy 4 Rays tickets altogether in a group, or would I have to buy them on by one? We offer cheap Tampa Bay Rays tickets as it is, however to enjoy extra discount on all the tickets, please put in your discount code. Thanks. Where can i get tampa bay rays promotion tickets? Tampa Bay Rays Tickets are available at cheap price at Ticket Luck. To receive information on promotion please visit our Live Chat section. Do you offer rays tickets cheap as they come? Yes, you can buy Tampa Bay Rays Tickets from us as cheap as they come. Log on to our website for complete details and book your tickets now. I want to buy cheap tampa bay ray tickets. Do you have them? Yes, we do have cheap priced Tampa Bay Rays Tickets available with us. Look through our page for details and order your tickets right away! What is the best deal on tampa bay rays tickets that you are offering on your site? Please refer to our Live Help Service to get all the information regarding the discount deals being offered on the Tampa Bay Rays tickets. Do you offer the best tampa bay rays ticket prices that wont cost me much amount? We offer many deals on Tampa Bay Rays games that are quite cheap. Browse our inventory and pick the deal that perfectly match your budget. Wondering what is the best deal time to buy tampa bay rays tickets? It is the time to book Tampa Bay Rays Tickets as tickets to all seasonal games sell out quickly. So, make sure you buy tickets on time. Where to purchase tampa bay rays tickets online? Please advise! You can purchase Tampa Bay Rays tickets at a very low price from Ticket Luck, which is the best ticket-selling website in the world! What is the Rays ticket office contact number in case of any queries? Should you require any assistance while purchasing your tickets, please call our toll free helpline number: (866) 861-4784. What are the rates that you guys offer for discount tampa bay rays tickets ? You can see the face value and the prices of the Tampa Bay Rays tickets once you click the "view tickets" button. Thanks. Where can i find cheap rays tickets online? Visit our Tampa Bay Rays Tickets page and there you will find out inventory of tickets priced at the best possible rates. I want amazing Tampa Bay Rays seats for little money. Is it possible here? Of course it is! Ticket Luck offers the best seats to all the events at very low prices! So, book your tickets now! Do you guys offer tampa bay rays group tickets? Yes we do, please go through our list of available Tampa Bay Rays tickets to find what youre looking for. Thanks. How do i get tampa bay rays tickets cheap? You can get the The Tampa Bay Rays Tickets cheap by availing the discount that we offer to our valued customers. I have placed order for discount tampa rays tickets but i want to make some changes in the order. All orders on our website are final. You cannot make any change in the Tampa Bay Rays Tickets that you ordered.